Hollywood, the place where big dreams can be pursued, is also a catalyst to society’s misconceptions and stereotypes. Sure, Hollywood has developed its reputation to residents all over the world through the creativity in the media However, how can one really feel empowerment and connection when the screen does not show faces of all colors and stories of all backgrounds? Precedents are vital to journeys, because it symbolizes hope and possibility for success. As a Chinese woman and immigrant, I am completely proud of my identity, but it seems as though I am not valued for who I am. Media, especially today, greatly impact our beliefs towards ourselves and others, thus, misrepresentation can lead to monumental consequences. The Youth Advisory Council (YAC) was invited for a movie screening of Crazy Rich Asians, featuring an all Asian and Asian-American cast directed by John M. Chu. The cast in itself was already a huge win for the Asian community and other minority groups, because it represents the start of flourishing diversity within the media industry. For the Youth Advisory Council, the movie was an emotional rollercoaster, resulting in many tears and laughs. Although YAC consists of youth, we all understood the significance of this movie. In simple two hours, we saw more representation of the Asian community than we have ever saw in Hollywood movies in our entire lifetimes. This is terrifying! Why has our leading film industry Hollywood disregard outstanding actors of color for roles with dimension and characters with depth? Many communities have been portrayed in the media, but the problem is that these portrayals have reflected incorrectly the identities of minority groups. Despite the efforts of the director encompassing all Asian cultures, there have been negative backlash about the exclusivity apparent in the movie. Even as I was watching the movie, I noticed the lack of darker skinned Asians. For the minimal scenes where darker skinned Asians were present, they would only be maids, or guards. Though entailing all Asian cultures and ethnicities can be a very difficult responsibility, we still have to take in account for the colorism in this movie. 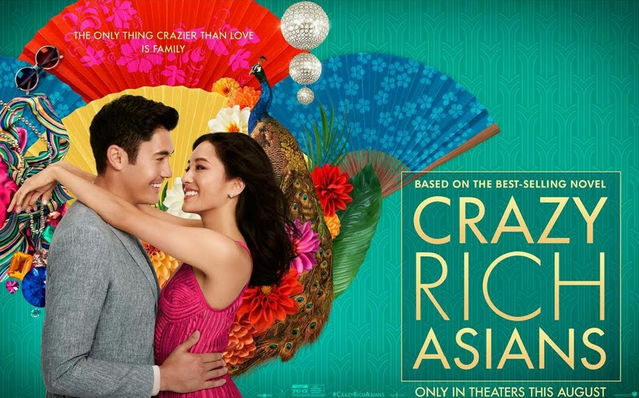 However, I believe that Crazy Rich Asians is more than just a movie, it is a movement and a catalyst for Hollywood to continue portraying everyone’s stories, especially the stories of marginalized groups of people. This movie is only the first step towards inclusivity and diverse representation; I hope there will be more movies that will accurately portray the Asian community. This entry was posted in Current Events, YAC News and tagged API culture, api media representation. Bookmark the permalink.